iTunes has got better. You can also apply a few tweaks to make it more usable How to Make iTunes Usable Again in 7 Simple Steps How to Make iTunes Usable Again in 7 Simple Steps iTunes was once great, but it's awful now. 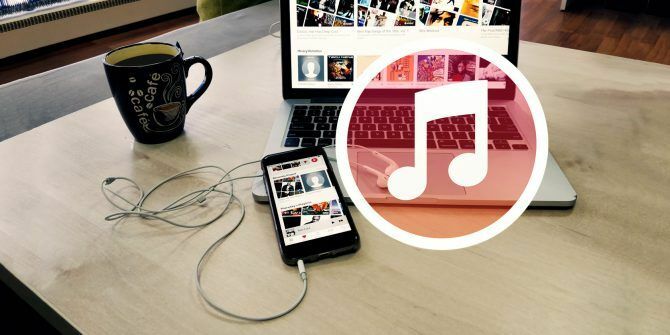 Restore Apple's music player to its former glory with these essential cleanup tips. Read More . And one of the more visual patches is to add album art cover to your music collection and make it more aesthetically appealing. When you buy music from iTunes, it comes packaged with cover art. But your own collection might have a few missing album covers when you import them or you just might feel like updating all of them with fresh versions. So, let’s take a quick look at how you can manually add album art to iTunes. iTunes can automatically find album artwork for you. Right-click on the album and select Get Album Artwork. But, here we show you how to add your own and personalize any playlist. Right-click on the album and select Album Info. Another screen opens up with all the associated meta-data for the album or song. Go to the Artwork tab next to the screen for Details. Click on Add Artwork. This will open the Finder window in Mac or the File dialog in Windows. Select an image file or drag the image file to the artwork area. You can select a downloaded file from the many cover art sites on the web or make your own graphic. Discussions on the web recommend a size of 600×600 px for the album art. The album art is now uploaded to iTunes. Delete the file from your computer. Explore more about: iTunes, Music Album. This method doesn't work anymore. A bug in Mojave 10.14.3?